Are you looking for a promotional product that will get your company and efforts noticed? 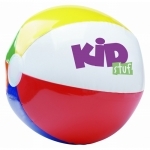 Your search should end here since this is one of the most favored selections for personalized multi color beach balls. 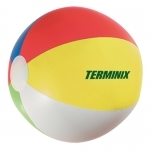 With your logo printed on these beach balls, your company will grab attention. No summer vacation and beach vacation is complete without feeling the sun, sand and having a beach ball. Similarly, no summer campaign is complete without these budget-friendly promotional beach balls in multiple colors. 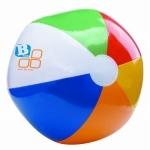 Beach balls not only deliver great fun but also lend a great promotional advantage. Available at guaranteed lower prices, you can bulk order them to receive attractive discounts. Each order is complimented with 100% customer satisfaction guarantee, 110% lowest price match guarantee, online design proof and artwork assistance. What are you waiting for?! Are you looking for a specialty promotional item for your next campaign? These promotional beach balls will come to your rescue. These beach balls strike with their great variety and patterns. These also offer a large imprint area to position your brand logo that will really pop when people throw them to the air. 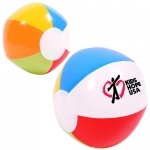 Kids and families will have loads of fun with these colorful custom beach balls. 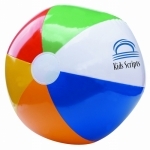 Picnics, camps, beach vacations and other outdoor events will become more interesting with custom printed beach balls. 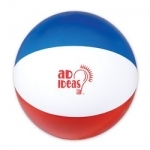 Custom printed beach balls are a new way to promote your brand this summer and they make great souvenirs, too. 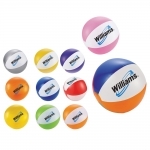 Promotional possibilities with these multicolor beach balls are endless. They can be used for trade show grab bags, youth birthday favors, party invitations, destination wedding favors or as school spirit items. 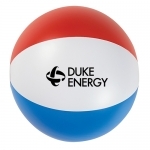 This means these colorful balls will attract attention to your brand logo at concerts, beaches, sports events and pools. 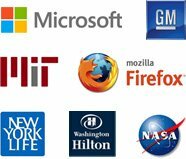 Beach ball promotions will help to bounce your promotions to new heights and they will popularize your brand logo easily. 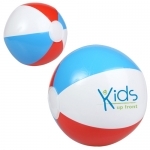 Inflatable beach balls will create excitement in large crowds when used. Do you know what the best thing about these promotional beach balls is? You can target various customers with this one promotional gift. 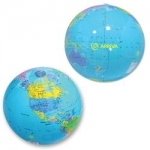 These beach balls possess the capability to uplift spirits and moods of the user. If you see kids playing around with beach balls, you can see and sense their excitement. 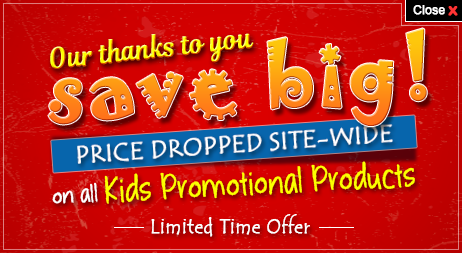 If you look from the parental angle, you will see that parents will love any promotional giveaway for kids that will keep their kids occupied and happy. 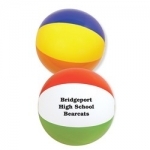 We are sure that all your recipients will feel a stronger bond with you after receiving these promotional multi-color beach balls offered in this selection. 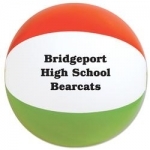 Our personalized multi-color beach balls are so unique that your company will easily stand out in the crowd. 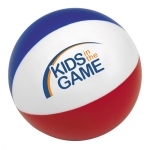 Order from any of these best seller logo multi-color beach balls or other promotional giveaways for kids today! Call us at 855-454-3786 or email us at info@promo4kids.com to avail free and timely assistance on product selection and imprint options.